Hi friends! Hope you're having a wonderful day! 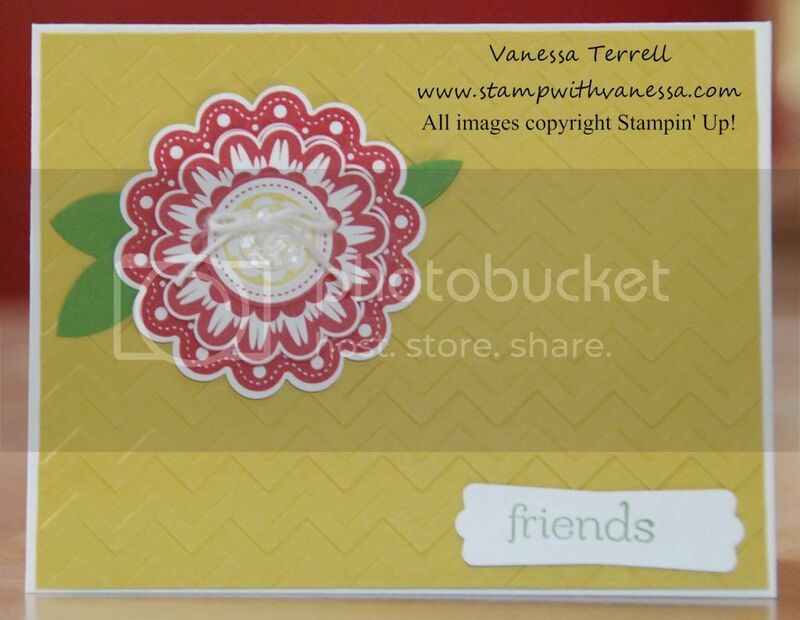 Today I played with the Quint-Essential Flower stamp found on page 110 of the annual catalog. I like that stamp because there are so many ways to use it. You can stamp it as is or you can stamp several times and use various punches that coordinate with it to punch out different scallop circle sizes and circles. Which is how I used it today. I started out stamping in Raspberry Ripple ink several times and then Summer Starfruit. I made leaves from Gumball Green card stock and a circle punch. Here's my finished card.